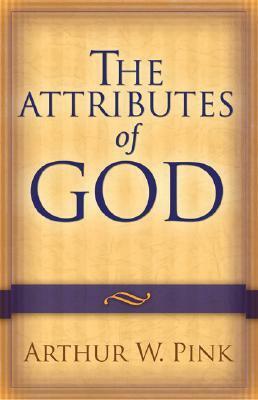 I read The Attributes of God by A.W. Pink in 2015 and published a review about this excellent little book. It is written in seventeen chapters, or articles, which are succinct and easy to follow. Mr. Pink, as Dr. R.C. Sproul, has a gift for explaining deep theological concepts in simple ways. I am thankful for teachers like these, for I am no Bible scholar! It is a blessing to be able to understand the Word of God without a MDiv degree. Four weeks ago, my Sunday school class began going through this book one chapter a week for our lesson material. I have enjoyed re-reading the book as we go and I am gleaning even more out of it the second time around. It’s also a blessing to have our teacher, Bro. Steve Fair, outline each chapter and discuss it in more detail. This week, I was blessed by the chapter on the foreknowledge of God. It is plain in Scripture that God has “foreknowledge”, but the proper teaching of His foreknowledge critical and sadly found wanting in many churches. This describes the exact thing I was taught about foreknowledge. This teaching goes against grace (which I was taught was “unmerited favor”) in every way! How can Baptist preachers not see the error of this? By teaching that God saw some good in us, we create a god in our own image: a god who is a respecter of persons, who judges us based on merit. If it is merit, it is not grace. We human beings judge others based on merit, but God never does. I am often accused of twisting scripture. This is troubling because I want to be careful in my understanding of the Bible – it’s all I have for survival in this world! Yet, it is the very people accusing me of mutilating God’s Word who are guilty of it themselves. They have let their own preconceived idea of God become superimposed over the Word of God, thus causing them to see it through a false lens. Nowhere in the Bible does God say He foreknew the actions of a person. It clearly states He knew people. (See the highlighted pronouns above – all refer to people, not behavior or actions.) To state otherwise is to, quite literally, twist scripture. On a side note, the Bible also never says that God hates the sin but loves the sinner. He will not cast sins into Hell, but people. And if that thought doesn’t motivate you to go out and proclaim the Gospel, nothing will. I do not know why it’s so hard for professing Christians to place God upon the throne and let Him reign and rule. Whether you believe it or not, God is ruling right now. One day you will see Him face to face, and no excuse will save you. Isn’t the very capacity to receive grace itself a good thing in human beings? If Adam’s sin totally destroyed human nature, then we would be just as able to receive salvific grace as cats and dogs, and yet, we are different… Is that not a “good thing”? Certainly, God chooses whom He will save and whom He will allow to destroy themselves freely – but that does not mean that those He saves are inherently evil creatures… If they were, and they had no way to follow the Commandments, even by merely accepting a healing grace which would allow them to (instead of actively resisting such grace), then how could they be blamed for failing to follow the Commandments? How can someone be bound to that which he does not have the power to do? If God gives no power to do the good, how can a person be justly punished for failing to do it? Hello! Thank you for taking the time to read and comment. My response is in the brackets to your statements. Isn’t the very capacity to receive grace itself a good thing in human beings? If Adam’s sin totally destroyed human nature, then we would be just as able to receive salvific grace as cats and dogs, and yet, we are different… Is that not a “good thing”? How can someone be bound to that which he does not have the power to do? If God gives no power to do the good, how can a person be justly punished for failing to do it? If they were, and they had no way to follow the Commandments, even by merely accepting a healing grace which would allow them to (instead of actively resisting such grace), then how could they be blamed for failing to follow the Commandments? [How Can God hold people accountable for something they cannot do? The Apostle Paul deals with this in (Romans 9:16-24) “So then it is not of him that willeth, nor of him that runneth, but of God that sheweth mercy. (17) For the scripture saith unto Pharaoh, Even for this same purpose have I raised thee up, that I might shew my power in thee, and that my name might be declared throughout all the earth. (18) Therefore hath he mercy on whom he will have mercy, and whom he will he hardeneth. (19) Thou wilt say then unto me, Why doth he yet find fault? For who hath resisted his will? [Here is where you need to read over Romans 1-5 and see how that Adam’s federal headship (or representative office) of mankind is the cause of our fallen nature and that fallen nature produces the sinfulness that condemns us. Thanks for your thoughtful reply. Let me just focus on one item for now, namely, the impossibility of following the Commandments. What then, is the meaning of a Commandment? How is it just that God would judge a person for not doing something he cannot do? Would we not think it a cruel injustice if a country had a flat, absolute tax for all citizens, and a homeless man with no money could not pay it, and he was therefore cast into prison on that account? This seems to be your view of God’s judgment. Certainly, He always gives us what we need in order to do His will, even though we are interminably disposed not to do it without even more help. I take it that you’re saying the command to carry out an action implies the ability to fulfill it. God knew that Israel could not maintain their end of the deal, so he gave them a redemptive plan. This is what Hebrews says of the first covenant, if it had been perfect then there would be no need for the second. In the Sermon on the Mount when Christ gives the teaching on the law he says that even thoughts of sin are sin… Which was not new it was already accepted that ‘the thought of foolishness is sin’. To look and lust was said to be marked down by God as having committed the full sin already! Then if you consider what Christ says in summation of the law ‘Love God with all and neighbor as thyself’ we can see that this too begins with a mere idea and not just actions. The standard of the law is so high that man cannot keep them. If man could keep them he’d need no redeemer. You say: Paul indeed says God has mercy on whom He will, but this, I submit, goes to show that He simply helps those use the power they already possess by inspiration (see (Philippians 2:13) “For it is God which worketh in you both to will and to do of his good pleasure.”). I say: This is a problem because a person is dead in sins and then regenerated by God. (Eph 2, Jn 3.8, Jn 5) They are justified (legally declared innocent) by faith. (Rom 5 and 4). So the work of God is to bring them to life and faith by his power! Which is what Jesus says in Jn 3.1-8 and in Jn 6. Salvation is not a cooperative effort between man and God. I say: Yes and that is so for a believer, as believers we are helped by the Spirit to avoid temptations. Paul says a similar thing in Hebrews. But this is not about procuring salvation or keeping salvation. You say: Would we not think it a cruel injustice if a country had a flat, absolute tax for all citizens, and a homeless man with no money could not pay it, and he was, therefore, cast into prison on that account? This seems to be your view of God’s judgment. Certainly, He always gives us what we need in order to do His will, even though we are interminably predisposed not to do it without even more help. I say: To play off of your illustration: This is exactly the scenario. This homeless man’s only recourse to appeal to the authority for mercy.